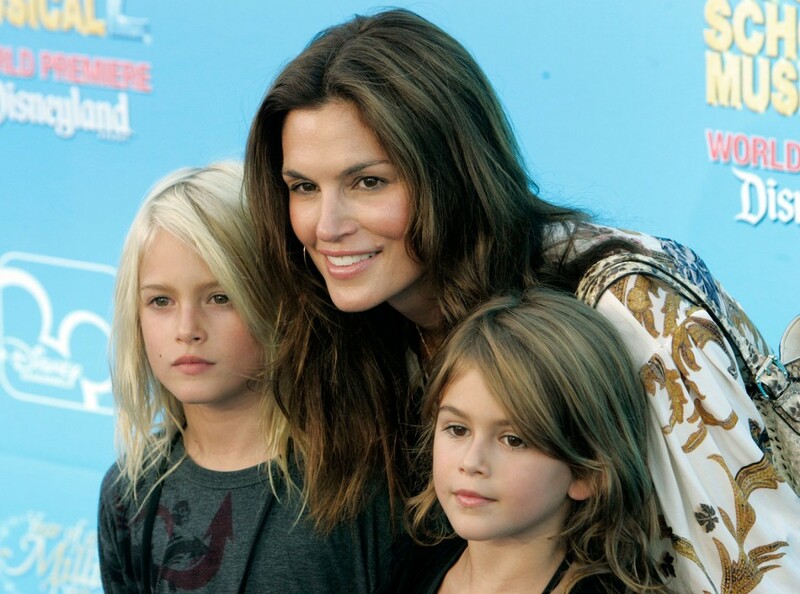 In a surprising about face, former supermodel Cindy Crawford says her daughter Kaia Gerber will need to wait until she's 17 to be a model. "At this point, she's too young to pursue a career. There aren't even a handful of jobs for a 10-year-old girl," Crawford told The Daily. Crawford was initially enthusiastic about her daughter's foray into modeling. Gerber, who looks strikingly like her mother, was an overnight sensation when she modeled for Versace's new line of children's clothing in January 2011. On the shoot, Crawford says she didn't want to "...be a stage mom and make her nervous. She knew I was there looking out for her. She’s done little modeling things with me, but it was always with me, and this was just her. And I really wanted her to have that experience." She adds that she was surprised at how the quickly the images of her daughter wearing a cropped leather jacket and mini-skirt made headlines around the world. In a press release after the shoot, Donatella Versace said, "Like her mother, Kaia has a very special gift. The camera really, really loves her." At the height of her modeling days, Crawford was a muse for the fashion house's founder, Gianni Versace, who was tragically murdered in 1997. Reportedly, Kaia isn't pitching a fit about mom's change of heart. According to Crawford, her daughter quipped, "I might model first because you don't have to know how to do anything, but then I want to be a baby nurse." While Crawford didn't go into more detail about her decision, recently the mistreatment of underage models has been in the spotlight. The Council of American Fashion Designers asked its members to only use models over the age of 16 to strut the catwalks at Mercedes Benz New York Fashion Week. After his show on Monday, February 13, 2012, designer Marc Jacobs was slammed in the press for knowingly sending a 14-year-old and a 15-year-old down the runway. Concerns range from younger girls being more susceptible to eating disorders to having their photographs taken while they change clothing for a photo shoot or fashion show. Paulina Porizkova, another supermodel from Crawford's generation, has been outspoken about the abuse she says is endemic to the industry. In a new documentary on modeling called About Face, which premiered at the Sundance Film Festival last month, Porizkova said that she and the other young models were so accustomed to inappropriate behavior from agents and photographers that, "What people called sexual harassment, we called compliments." Do you think underage models should be banned? Let us know in the comments below.